Ender's Ansible | Ender's Game Fansite: A news resource for the Ender's Game movie and book series. 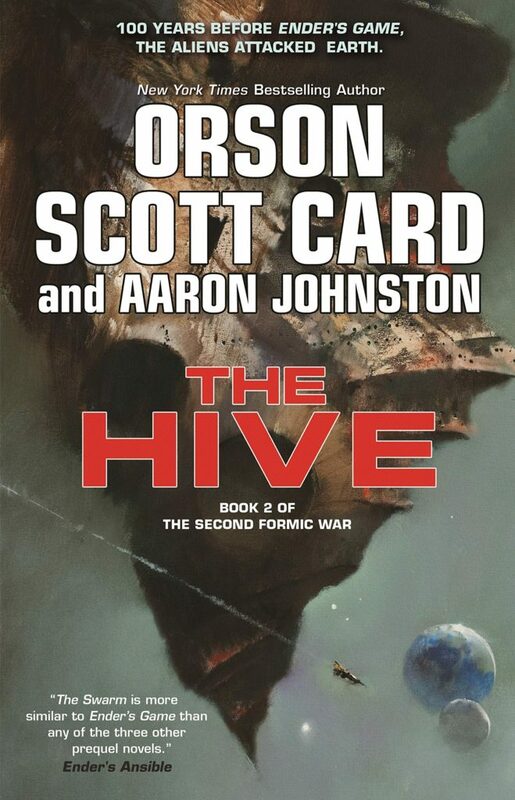 Check out the newly unveiled cover art for ‘The Hive’ by Orson Scott Card and Aaron Johnston. ‘The Hive’ will be the second novel in the Second Formic War Trilogy, which is also a prequel to the original ‘Ender’s Game’ novel. It will be published on June 11, 2019. Pre-order is available now on Amazon. Lastly, Ender’s Ansible is really honored to have a quote from our review of ‘The Swarm’ on the cover! Thanks to Ibid for the tip. 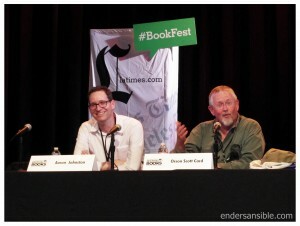 On Monday, ‘Ender’s Game’ author Orson Scott Card published the first draft of a new Enderverse short story called, The Messenger on his subscription email service, Uncle Orson on the Fly. He writes that this short story may serve as the first few chapters of ‘Shadows Alive’, which is the long-awaited sequel that will tie together Ender’s story line and Bean’s story line. Card has previously published a few Enderverse short stories that have become full length novels, including the original Ender’s Game novella and Gloriously Bright which became the basis for ‘Xenocide’. Card also notes that The Messenger will be published in an original anthology, which lends the notion that other Enderverse short stories may be published alongside The Messenger. This anthology may be the same as the one mentioned in 2015 and will possibly include the two short stories Card wrote last year. To read the 11,000 words of The Messenger, click here to subscribe to Uncle Orson on the Fly. Thanks to u/MavikVCT on Reddit for the tip. 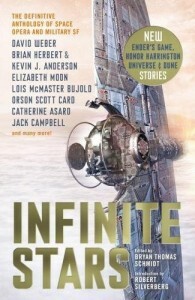 An updated Amazon listing reveals that ‘The Hive’ by Orson Scott Card and Aaron Johnston will be published on June 11, 2019. ‘The Hive’ will be the second novel in the Second Formic War Trilogy, which is also a prequel to the original ‘Ender’s Game’ novel. Card and Johnston continue the fast-paced hard science fiction history of the Formic Wars—the alien invasions of Earth’s Solar System that ultimately led to Ender Wiggin’s total victory in Ender’s Game. A coalition of Earth’s nations barely fought off the Formics’ first scout ship. Now it’s clear that there’s a mother-ship out on edge of the system, and the aliens are prepared to take Earth by force. Can Earth’s warring nations and corporations put aside their differences and mount an effective defense? According to Amazon, ‘The Hive’ is 368 pages, is significantly shorter than the novel’s direct prequel, ‘The Swarm’, by 100 pages. ‘The Hive’ is now available for pre-order on Amazon. The cover art for ‘The Hive’ has not yet been released. Thanks to u/MavickVCT on Reddit for the tip. If you’re one of the last people on the planet who hasn’t seen Netflix’s original science fiction- horror series, ‘Stranger Things’, let me fill you in. Set in the 1980s, the story follows a group of nerdy boys in Hawkins, Indiana. After 12-year-old Will Byers goes missing, his friends uncover a clandestine, government-operated experiment linked to Will’s disappearance. The experiment opens a portal to an alternate dimension called “The Upside Down” where a monster called the Demogorgon lives. The series is noted for having several nods to 1980s nerd culture, including ‘Star Wars’, Dungeons and Dragons, and X-Men. So it’s not a stretch that ‘Ender’s Game’ could be a book Will’s friends love. 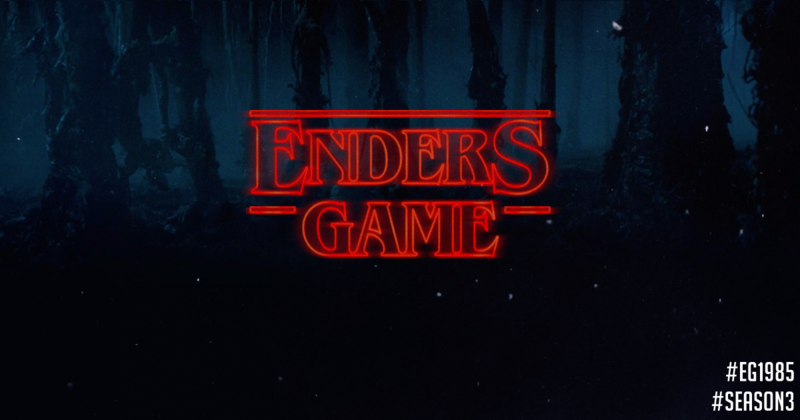 Coincidentally, the publication of the ‘Ender’s Game’ novel fits in perfectly with the ‘Stranger Things’ timeline. Season 1 of ‘Stranger Things’ begins in November 1983 and season 2 will pick up in October 1984. If season 3 follows the same pattern, it will take place around fall 1985, about 10 months after the publication of ‘Ender’s Game’ in January 1985. Season 4 should theoretically take place in fall 1986, about 7 months after the publication of ‘Speaker for the Dead’ in March 1986. ‘Ender’s Game’ and ‘Speaker for the Dead’ were both awarded two of science fiction’s most prestigious awards, The Nebula Award and the Hugo Award. 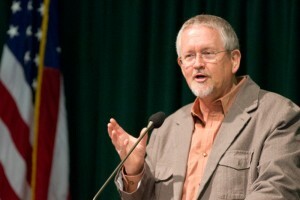 In fact, Orson Scott Card remains the first and only author to have received both awards in consecutive years. Card complete dominated science fiction in 1985 and 1986! This gives ‘Stranger Things’ producers the perfect excuse to insert a clever ‘Ender’s Game’ or ‘Speaker for the Dead’ reference in season 3 or 4. 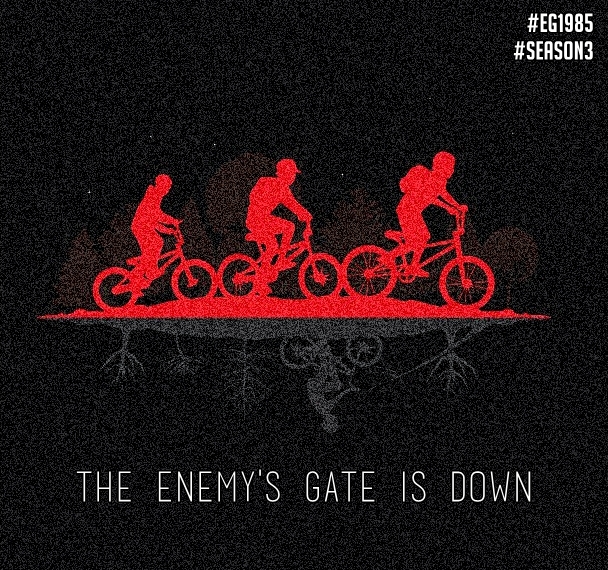 Will’s friends could easily make a reference to the classic line, ‘The enemy’s gate is down,” because the Demogorgon lives in The Upside Down. Or, I’d love to see a copy of ‘Ender’s Game’ casually sitting on a bookshelf or nightstand. If you agree that ‘Ender’s Game’ needs to be referenced in ‘Strangers Things’, why not share one of our images with the producers of ‘Stranger Things’ using #EG1985 and #Season3. 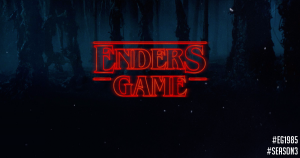 I’d love to add ‘Stranger Things’ to our growing list of culture references to ‘Ender’s Game’. Photos were edited from these originals: photo 1 and photo 2. 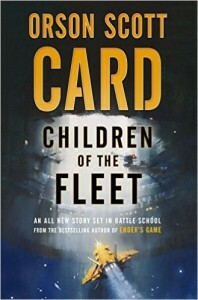 ‘Children of the Fleet’ by Orson Scott Card begins approximately eight years after the Battle School is retrofitted into a school for potential explorers and colonizers. The novel centers on Dabeet Ochoa, a shrewd and socially inept 11-year-old boy, whose arrogance prevents him from befriending the easy going Fleet School students. Early in the novel, Dabeet finds himself involved in a dangerous plot that puts the life of the only he person he loves (and several others) at risk. Can he unravel the mysteries of Fleet School in time to save them? Although the premise sounds thrilling, I had doubts about the uniqueness of Dabeet’s character. Do we really need another genius boy like Ender, Bean and Bingwen to revolutionize some aspect of the International Fleet? Although the novel touts that Dabeet is smarter than Ender, his glaring social problems (read: complete obliviousness) give him enough character flaws to differentiate him a true hero like Ender or Bean. Dabeet is the refreshing antihero I never knew the Enderverse needed. Comparing ‘Children of the Fleet’ to the rest of the Enderverse, readers will find the novel less sophisticated than the Speaker Series and slower-paced than both Formic War trilogies and the Shadow Series. This slow pace reflects the relatively peaceful state the IF relishes post-war. The end of the Third Invasion means that the IF is no longer in the business of developing child soldiers and commanders. Instead, Fleet School is the place were CEOs, IF soldiers and notable free miner families send their children to study how to become bureaucratic leaders and valuable members of future colonies. The battle room and its pretty amazing upgrades remain a part of the school’s curriculum, but the game is not valued nearly as much to these students. 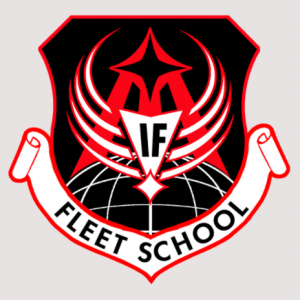 Overall, Fleet School is too different from Battle School to satisfy the want for more intense battles like those in ‘Ender’s Game’ and ‘Ender’s Shadow’. However, the mystery of who’s behind the dangerous plot and who are Dabeet’s parents are will send readers racing to finish ‘Children of the Fleet’. I was pleasantly surprised to learn these answers. “There always was,” said Graff. I also loved how strongly ‘Children of the Fleet’ ties together the rest of the Enderverse. The novel neatly nestles itself between the plots of ‘Ender in Exile’ and the Shadow Series with several nods to the Formic War trilogies. During this time, Ender is on his way to govern Shakespeare colony and Bean and the rest of the Battle School students are raging a war on Earth. The only problem I can find here is that this further complicates the question, “Which book should I read after ‘Ender’s Game’?” A reader could choose either ‘Ender is Exile’, ‘Speaker for the Dead’, ‘Ender’s Shadow’, ‘War of Gifts’, ‘Earth Unaware’, and now ‘Children of the Fleet’. For anyone wondering what the answer is, Card says that the reading order doesn’t matter so long as ‘Xenocide’ is read just before ‘Children of the Mind’. I always recommend reading the novels in publication order to avoid spoiling certain plots. For example, ‘Children of the Fleet’ provides a few spoilers to the Formic War trilogies. However, in this case I think that the spoilers are so minor that most readers would overlook them. It would be harmless to read the Formic War trilogies before or after ‘Children of the Fleet’. Truthfully, ‘Fleet School’ isn’t one of my favorite books in the Enderverse, but I did enjoy it much more than Card’s last solo adventure in the Enderverse (‘Shadows in Flight’). I think this novel and the other novels to be published in the Fleet School series are much more suited to a younger audience, which was Card’s intention from the start. I still plan on reading the rest of the Fleet School series because I’m hooked on knowing who Dabeet’s other parent is. ‘Children of the Fleet’ is available for purchase on Amazon or at your local bookstore. Lastly, I’d like to remind readers that a sequel to ‘Children of the Fleet’, called Renegat, will be published in a short story anthology on October 17. Orson Scott Card has written two new Enderverse short stories called Renegat and Governor Wiggin. Both short stories were first previewed in Uncle Orson on the Fly, an online subscription service of Card’s writings. Renegat appeared in February 2017 and Governor Wiggin appeared in June 2017. Currently, the only way to read these short stories is to purchase a $24 yearly subscription to Uncle Orson on the Fly. However, Renegat will be published later this month in a space opera anthology by David Weber, called ‘Infinite Stars’. ‘Infinite Stars’ will be published on October 17; pre-order it here. Renegat is a novella-length short story following the events of Card’s upcoming novel, ‘Children of the Fleet’. ‘Children of the Fleet’ will be published on October 10. At approximately 9,000 words, Governor Wiggin is a short story following the later years of Ender’s term as governor of Shakespeare colony. This short story is set during the events of ‘Ender in Exile’. It is unconfirmed if or when Governor Wiggin will be published outside of Uncle Orson. Thank you so much to my readers who helped me research these short stories, especially reader ibid11962. I updated this information on the new and improved Enderverse page, but beware that many of the individual pages still need updating. Tor Books is offering fans who pre-order ‘Children of the Fleet’ by Orson Scott Card a chance to receive a limited edition Fleet School patch. Fans who submit their pre-order receipt for a print or digital copy of ‘Children of the Fleet’ will receive the patch pictured to the left and a backer card while supplies last. This promotion ends of October 17 and is only available to residents of the United States, the District of Columbia, and Canada. The patch was designed by graphic designer and ‘Ender’s Game’ fan Darian Robbins. ‘Children of the Fleet’ ‘ is the first novel in a new Enderverse spin-off series. The series will tell the tale of what happens to the battle school after the Third Formic War. ‘Children of the Fleet’ will be published on October 10. Pre-order the book on Amazon. Edited to add that the patch was designed by Darian. Today Tor Books published the first chapter of the ‘Children of the Fleet’ by Orson Scott Card on their blog. ‘Children of the Fleet’ is the first novel in a new ‘Ender’s Game’ spin-off series featuring Colonel Graff and a Fleet School student named Dabeet Ochoa. Read the novel’s description below or skip to the good stuff and read the first chapter, here. ‘Children of the Fleet’ will be published on October 10.Purchase it at your local bookstore or pre-order it on Amazon. ‘Children of the Fleet’ by Orson Scott Card will be published later this year on October 10, 2017. It is available for pre-order on Amazon. ‘Children of the Fleet’ is expected to be the first novel in a new Enderverse spinoff series. According to Amazon, it is a parallel novel to the shadow series. Read the novel’s description below. Amazon lists the page count as 304 pages. For comparison, ‘Earth Unaware’ is longer by about 60 pages. 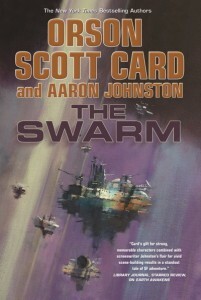 ‘The Swarm’ by Orson Scott Card and Aaron Johnston is the first novel in the Second Formic War Trilogy and a sequel to the First Formic War Trilogy (‘Earth Unaware’; ‘Earth Afire’; ‘Earth Awakens’). Following the First Formic War, ‘The Swam’ revisits the altered lives of Mazer Rackham, Bingwen, Lem Jukes and Victor Delgado. Earth’s faint success after The Scourging of China left humanity in a nervous state. Likewise, the pace of the novel leaves readers sweating with the mounting pressure of the anticipated second invasion. Can the Hegemon pull humanity together long enough to fund an interplanetary war with adequate cash and soldiers? Can the International Fleet recognize the uselessness of career bureaucrats in the face of an intelligent enemy? Can Juke Limited arm the world’s military with technology sophisticated enough to defeat the Hive Queen and her swarm? Desperate for survival, humanity is willing to win this war at all costs. For this reason, ‘The Swarm’ is more similar to ‘Ender’s Game’ than any of the three other prequel novels. To my delight, ‘The Swarm’ mimics signature ‘Ender’s Game’ elements such as resistance against authority, creative problem solving and childish wit. Fans will enjoy the subtle development of the Battle School’s foundation, including zero-gravity training, flash guns, battle suits, armies, stars in the battle room, and even the ansible. I love ‘The Swarm’ so much that I plan to recommend the prequel trilogies to younger ‘Ender’s Game’ fans over the Shadow Series. It’s easily my favorite novel Orson Scott Card and Aaron Johnston have collaborated on. As a fan of the Enderverse, I appreciate that Card and Johnston have constructed the story in a way that unifies parts of ‘The Gold Bug’, ‘Mazer in Prison’, ‘Speaker for the Dead’, ‘Shadows in Flight’ and film canon. It’s quite impressive. For readers less familiar with the entire Enderverse, I must recommend reading at least the First Formic War trilogy beforehand. Any of the other novels or short stories, including ‘Ender’s Game’, are unnecessary to understand the plot. I only have two grievances against ‘The Swarm’. Firstly, the physics and biochemistry explanations behind some of technologies seems slightly misguided regarding the laws of thermodynamics. I won’t give any spoilers in this review, but I’m pointing at you, chapters 18 and 25! My second grievance is that ‘The Swarm’ had to end at all. On a final note, I think it’s endearing that this novel is sweetly dedicated to our amazing ‘Ender’s Game’ film producer, Lynn Hendee. ‘The Swarm’ will be released tomorrow, August 2. Purchase it at your local bookstore or buy it on Amazon. Disclaimer: A special thanks to Tor Books for providing ‘Earth Awakens’ for review. All opinions are my own.